How do we reliably know the trustworthiness of data, algorithms, and models? New, award-winning research from two Info Sci scholars says trust in data science is as much a collaborative exercise as it is calculative. Owing to the rapid growth of and reliance on data science systems, effectively governing and managing them has become a top priority for both practitioners and researchers. While data science allows us to chart new frontiers, it requires varied forms of discretion and interpretation to ensure the credibility of algorithmic knowledge. Central to this is the notion of trust – how do we reliably know the trustworthiness of data, algorithms, and models? This is the basis of award-winning research from Cornell Information Science PhD candidate Samir Passi and Associate Professor Steven Jackson, whose paper “Trust in Data Science: Collaboration, Translation, and Accountability in Corporate Data Science Projects” received a Best Paper Award at the upcoming ACM Conference on Computer-Supported Cooperative Work and Social Computing (CSCW), to be held November 3 through 7. The same pair also received a Best Paper Award for “Data Vision: Learning to See Through Algorithmic Abstraction” at last year’s CSCW conference. The paper situates these tensions in two separate projects. On one project, the data science team used a prediction model to help a client marketing company determine how many of its current customers were likely to cancel their paid service, or, in corporate parlance, to “churn.” While both the company’s business and data science teams shared the common goal to minimize churn for their clients, they interpreted algorithmic results differently. The data science team saw the low likely-to-churn probabilities as valuable, while the business team – unclear as to how the figures were even generated – discounted them as incomplete. 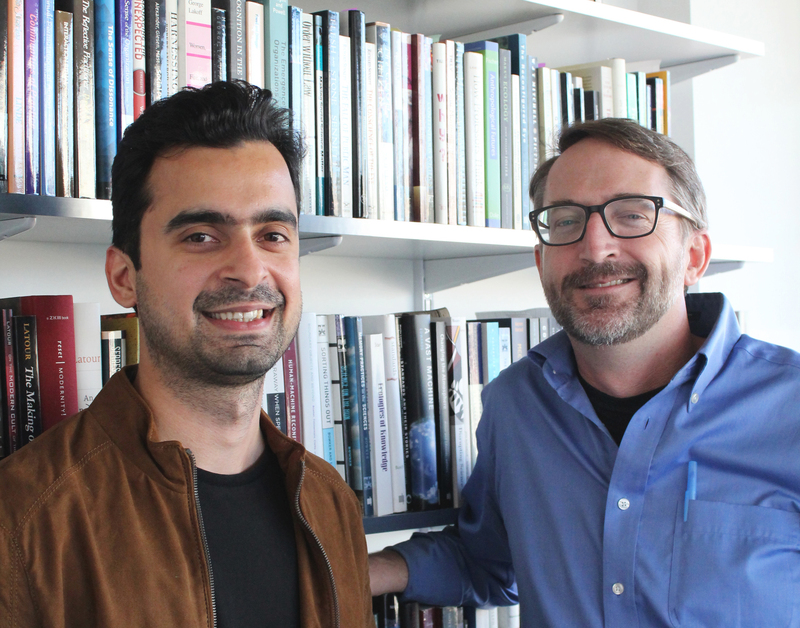 Samir Passi (left), a doctoral candidate in Cornell's department of Information Science, and Steve Jackson, associate professor of Information Science, co-authored a forthcoming paper that examines how we navigate uncertainties in applied data science. The probability generated by the model “is a good indicator, but it is not the absolute truth for us,” lamented one business analyst interviewed by Passi; it helped identify current customers who were likely to cancel their business, but it didn’t explain why. The teams differed similarly on a separate project for a loan financing service, leading the authors to conclude that actors’ trust in data science systems is entangled not only with the perceived credibility of data, but also with their understanding of and confidence in the model’s working. Beyond its implications for the present, the paper also connects emerging data science practices to tensions and concerns that go back to the foundations of modern science itself. Louis DiPietro is the communications coordinator for Cornell's department of Information Science.